Open resource panel of Scrum Board. 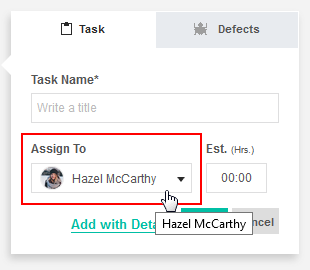 Assign a resource to a Task by dragging resource on Task. 2. From edit task, you can select the preferable resource from resource drop down.